Product categories of Double Rectangle Glass Food Warmer, we are specialized manufacturers from China, Double Rectangle Glass Food Warmer, Stainless Steel Food Warmer suppliers/factory, wholesale high-quality products of Party Food Warmer R & D and manufacturing, we have the perfect after-sales service and technical support. Look forward to your cooperation! Our Food Warmer keeps your tea or meal nice and warm. There are many different items for your choose. 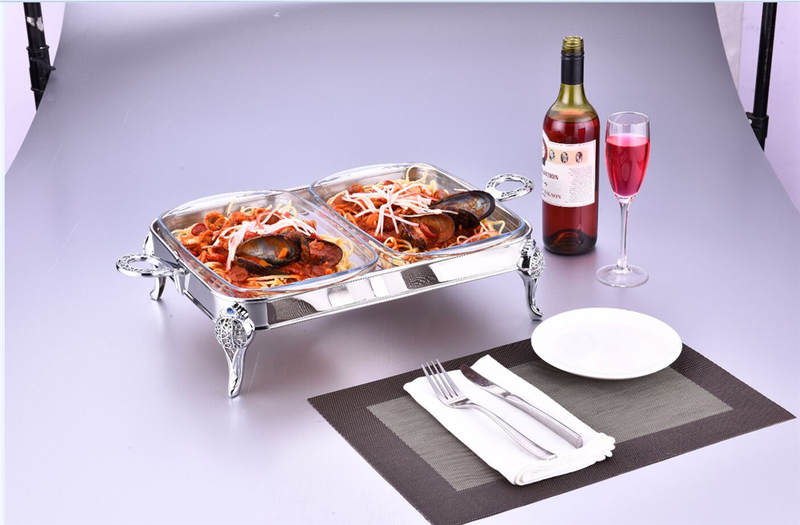 This chafer accommodates full 1/2 size food pans giving you the ability to present one large food offering or a variety!